CCI Woodie with channel trading system is a trend following strategy based on the CCI Woodie. Woodie CCI.mq4 is based on the code of Jason Robinson. for the right coloured CCI. the center LSMA line according to the official explanation. PJ-Over RSI (28, levels 70, 30,). ArrZZX2 (Zig Zag support anf rsistance indicator). Enter when the price crosses the channel. Price crosses the upper band channel and the same signal from all indicators (CCI Woodie >o an P-J over green). Price crosses the below band channel and the same signal from all indicators (CCI Woodie <o an P-J over red). 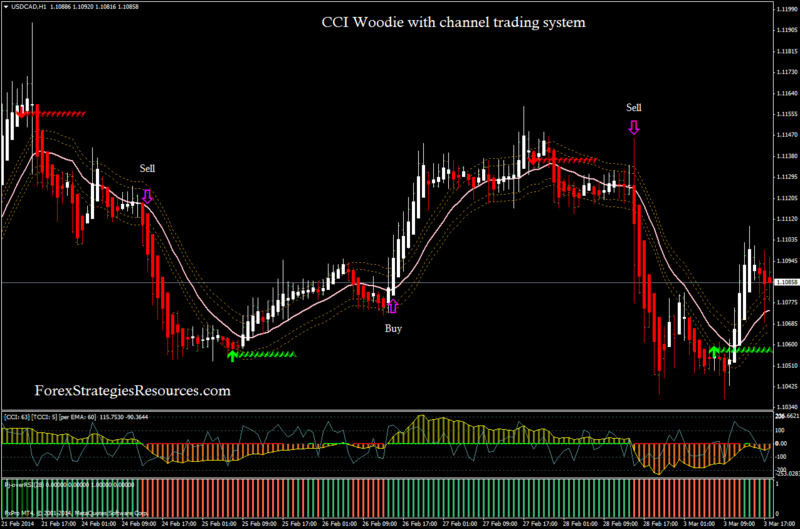 In the picture CCI Woodie with channel trading system in action.